A memorial service for Jessica Grace Wing was held on the morning of Sunday, August 10th, 2003 at the Angel Orensanz Foundation in New York City. 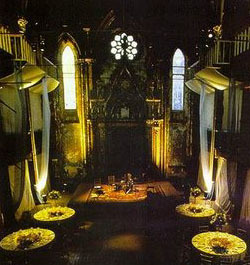 The Angel Orensanz Foundation is located at 172 Norfolk Street on the Lower East Side. For more information about the foundation, please visit: The Angel Orensanz Foundation.